Dystopian stories are really the new thing. This time I stumbled upon Wither, the first in The Chemical Garden Trilogy. Wither is set in a world where the life span of humans has been greatly shortened. When they thought they found an antidote to prolong life span, they thought they had succeeded. The first generation was thriving well, but the same can’t be said for their offspring. In every generation after that, men died at the age of 25 and women at the age of 20. Hence, chaos ensued. In order for the human race to not die out, it was important to keep reproducing. Men bought women as wives, specifically for that purpose. That’s how we find the main character Rhine. The first half of Wither is a bit strained. I was waiting for something exciting to happen. Much of it was Rhine trying to understand this new world she was forced into. The second half picks up when we start to see who the real villain is. Also, circumstances become more desperate for Rhine, which helped pick up my interest. While the first half is slow, it did give me a chance to get to know each of the characters, especially Rhine’s husband, Linden. From the beginning, I thought there was something peculiar about Linden, despite Rhine’s quick judgments of him. Once the depth of his understanding is revealed, it is very interesting to think about what his actions could be in the second book. The characters are also well thought out. We get a chance to know Rhine’s sister wives, as well as the mansion’s servants, especially Gabriel. Rhine instantly forms an attachment to Gabriel, a very risky and dangerous thing to do. By getting to know all these characters, we also get to know Rhine. We know that when she forms a connection with another human, it’s deep. She isn’t superficial in the least. She has a heart and a strong yearning to reclaim her freedom. The book doesn’t end with a cliffhanger, but many problems remain unsolved. I wish this book dealt more with the science aspect of it. I wanted to know why they are dying so long, whether it is curable, what were Rhine’s parents trying to solve about the antidote. I hope the second book deals with more of those questions. That alone has me looking forward to the next book. 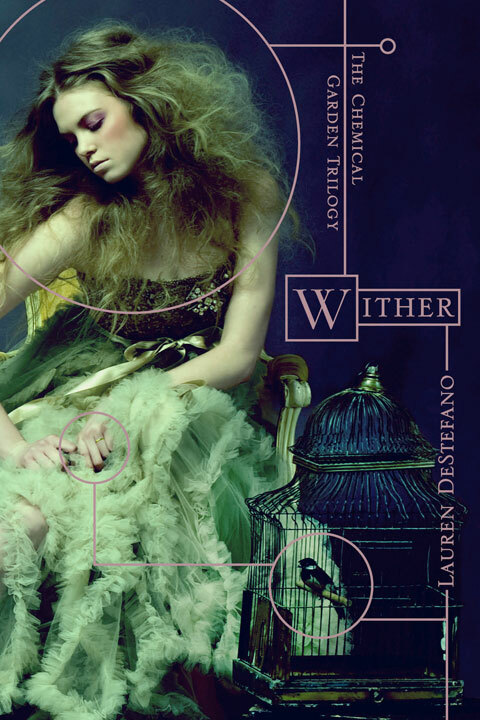 Wither is now available in bookstores. You can purchase Wither at our TYF Store here! Next ArticleMovie news: Check out the trailer for David Cronenberg's latest film: "A Dangerous Method"